Dr. Mantikas graduated from St. Johns University in New York, where he earned a Bachelor of Science degree in biology with chemistry and business minors. He graduated with honors from Tufts University School of Dental Medicine in Boston, where he received his degree of Doctor of Medicine in Dentistry. 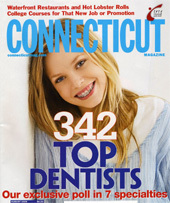 Dr. Mantikas carries on his pursuit of dental excellence by his involvement in continuing education courses and membership in the American Dental Association, the American Endodontic Society, the National Society of Dental Practitioners, the Academy of General Dentists, and the Implant Society. He is also a multiple term past President of the Middlesex County Dental Society, and was on staff at Middlesex Hospital for over twenty years.